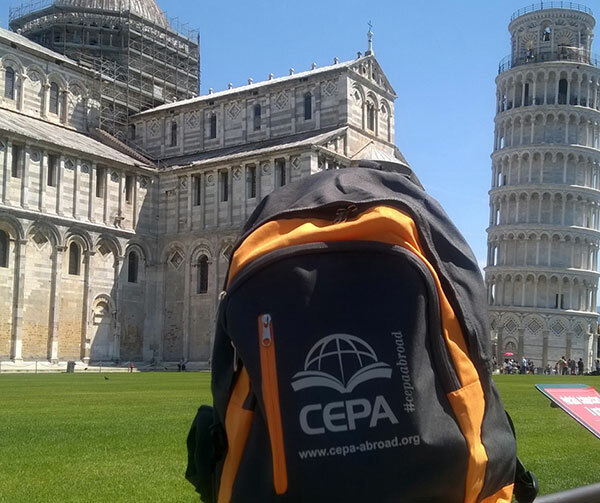 The most important thing to the CEPA team is that our faculty-led groups receive the support they need while traveling throughout Europe. Thus, we constantly look for locals who would like to support and accompany our overseas student groups during their tours in Europe. Our goal is for students and faculty members traveling with us to return home with not only a meaningful, educational and cultural experience, but also a new perspective, one that goes well beyond the famous cities, the world-renowned monuments, and postcard views of Europe. As the coordinator, you will be the link between the CEPA headquarters and the group on-site, your role as a CEPA coordinator (tour manager) is one of the most important parts of our programs. You represent us, our image and have the most direct contact with our customers. Therefore, it is very important that you represent our philosophy accordingly. If you live in Berlin, Munich, London, Paris, Barcelona, Zurich or any other European city, please feel free to contact us and send us your application. This position’s duration lasts 1 to 15 days and would therefore be suitable for people looking for a temporary job. “I have been working as a CEPA coordinator many times during the last years and I always had a great time showing the students the beauty of Europe and also giving them an insight and further explanations into its culture. The students taking part in the study abroad programs came from Canada, the USA and Brazil. Being with international students and the fact that we traveled through several European countries, allowed me to use my language skills on a daily basis. As I love working in an international environment, I am always happy to meet students who are curious about Europe in every way. For me, coordinating is not just informing the students about the destinations and about making sure that the program runs smoothly, it’s also about being there for them when they make their own experiences. Every program has been a cultural exchange for me as well, that has broadened my mind. “I have been a tour coordinator for many years now, and I have to say that being a CEPA coordinator is even better than the normal thing. Being a tour coordinator sounds interesting and inviting because of the hopes to travel and to see new things and places, but that is not true: often you are not required to travel to any new or exotic destination, while you are expected to know the place your group is going to. “I’ve worked as a local coordinator for the CEPA Europe study abroad programs for the past five years and I really like assisting the students groups as they study and travel through Europe. There are so many aspects of my job that I greatly enjoy! It is a rewarding and fun job, and it comes with a range of varied and interesting responsibilities. Another important aspect is teamwork. The support I get from the colleagues at Cepa Europe is really exceptional.